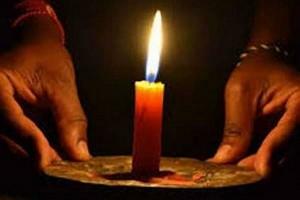 Tamil Nadu Generation and Distribution Corporation (TANGEDCO) has released the list of areas in Chennai to face seven-hour power cut on Tuesday (February 12). The power cut will be scheduled from 9 am to 5 pm due to maintenance works. TANGEDCO also stated that if the works are completed before 5 pm, then the power supply will be restored immediately. Senthil Nagar 1st to 17th Street, Ayyappa Nagar 1st to 6th Street, 200-feet Road, Srinivasa Nagar 3rd and 4th Street. Full area Annai Sathya Nagar, Thangavel Nagar, Pugalenthi street, Durgai Amman Street, Vikramadhithan Street, Nehru Street, Angala Parameswari Street. 1st, 2nd, 3rd and 4th Main Road Gandhi Nagar, 1st Cross Street Gandhi Nagar. 1st to 4th, 6th, 9th Main Road, M-1 to M-26 Street, H-9 to H-40 Street, 15th Street to 33rd Street, 2nd, 3rd, 4th Seaward Road, Balakrishnan road, KK Road, Raja Rangasamy Avenue. Ganesh Nagar , Mahatma Gandhi Nagar , Ramalinga Nagar, Bharathiyar Street, Pillaiyar Koil Street, Narayanan Nagar, Karpaga Vinayaga Nagar, ECR, Anna Street, Thiruvalluvar Nagar. VGP and Sagas and ECR one part, Jagajeevanram Avenue, Rajiv Avenue, TVS Avenue, Bharathi Avenue, Seshadri Avenue, Pebble Beach, Gunaal Garden, ISKCON Temple Road, Akkarai village. Old Taramani, Mahatma Gandhi Nagar, Anbazhagan Nagar, Thiruvallur Salai, Natarajan Street, Gandhi Salai, Vellalar Street. Kannan Nagar, Lakshmi Nagar, Joy Nagar, Shanthi Nagar, Ganapathypuram, Radha Nagar Main Road, Gandhi Nagar, Subash Nagar, Natarajapuram, Nemilichery High Road, Bharathipuram, Periyar Nagar, Kurinchi Nagar, Senthil Nagar, Natesan Nagar, Jameen Royapettah, Postal Nagar, AGS Colony, New Colony Area, GST Road, Saravana Stores, Purusothaman Nagar Area. ‘3 வருடம் ஆனாலும் கெட்டுப்போகாத இட்லி’.. புதிய முறையை கண்டுபிடித்து அசத்திய பேராசிரியை! ‘இந்தியா பலத்துடன் வரும் என தெரியும்’..வெற்றி குறித்து மனம் திறந்த நியூஸிலாந்து கேப்டன்! எங்க போனாலும் ‘தல’தான் மாஸ்.. ரசிகரின் உருக்கம்.. தோனி நெகிழ்ச்சி.. சிலிர்க்க வைக்கும் வீடியோ! 2 நாளைக்கு ஃப்ரீ.. சென்னை மெட்ரோ ரயிலில் பறக்கலாம்.. அசத்தலான ஆஃபர்! 'ஒழுங்கா சாப்படலன்னா 50 ரூபாய் அபராதம்'..மிரட்டும் ஓனர்.. வைரலாகும் ஹோட்டல்! ‘ஆபரேஷன்’ செய்த பெண்ணின் வயிற்றில் மருத்துவர்கள் மறந்துவைத்த நினைவுப்பரிசு!